Winnipeg Y International: Final post from Uruguay! We´re coming to the end of our trip now, which we´re all very upset about! Especially since we hear that it´s still very much winter and cold back home in Canada! 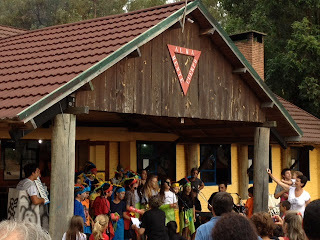 Campers perform in Carnival costumes for their parents. Kristen & Marjan with youth from San Jose at Camp Artigas. 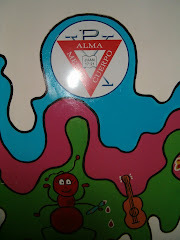 We just came back from Camp Artigas, where we stayed for 2 weeks. In the time that we were there, several different groups attended the camp, including groups from YMCAs and some school groups. 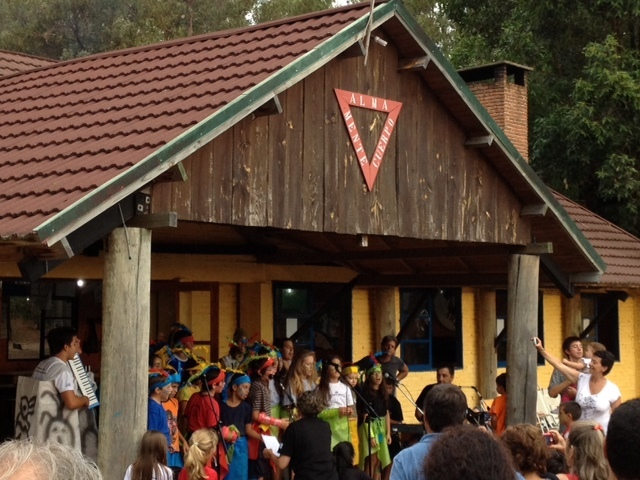 Over the past week, they had their Family Camp, where families from all over Uruguay come to the camp to participate in both adult and children´s activities. It was interesting to see how a lot of the families have been involved with the Y and the camp for generations, where they were once children at the camp, and then camp counsellors, and now adults and coming to the camp with children of their own. The theme for this year´s Family Camp was ¨Carnival¨ and all the programs and preparation for the camp was done by the leaders and counsellors. We were amazed to see how many different activities they had for the kids during the day, and how closely each of their activities followed the theme. In Uruguay, there is a lot of history and tradition associated with ¨Carnival¨. We were surprised to see the activities not only followed the themes, but they were educational as well in explaining some of the history behind this event. At the end of the week, the children performed in a mini ´carnival´ with help from their counsellors. Each age group paraded through the main camp area with songs and dances, and of course, their Carnival costumes and face paint! It was very impressive to see how much effort they had put into the parade, in terms of costumes and decorations. Right now, we have just arrived back in Montevideo, staying with our host families for the last few days before we come home. Over the course of this month, we have become very close with our host families and have been very appreciative of everything they´ve done for us! It will definitely be a sad good bye when it´s time to go!